Davis: I can add nothing to the poetry and majesty of this document, except to say that it makes me feel proud to be a human being. Written on April 16, 1963, this was King’s open-letter response to a statement issued by eight white clergymen four days prior titled “A Call For Unity,” in which they had posited that the battle for racial equality should be fought solely in the courts and not in the streets. 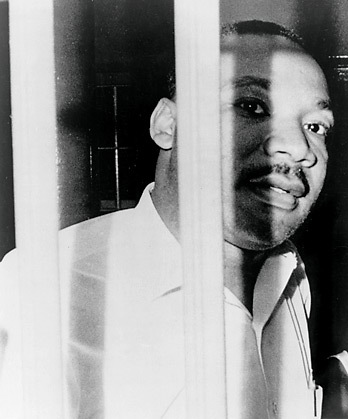 King wrote the letter while confined to a cell in the Birmingham City Jail after his arrest for having taken part in a non-violent protest. It is a perfect crystallization of so many of the ideals he relentlessly heeded the call to pursue, and establishes a historical, philosophical and theological framework within which they remain unshakably sound. An assassin’s bullet on a motel balcony in Memphis five years later could never silence this colossus. Recommended reading: The COINTELPRO Papers: Documents From The FBI’s Secret War Against Domestic Dissent In The United States by Ward Churchill and Jim Vander Wall.